Green Garland’s environmentally friendly birthday garland adds a touch of whimsey to any birthday celebration and can be used year after year. Green Garland uses recycled and upcycled materials in all their garlands. 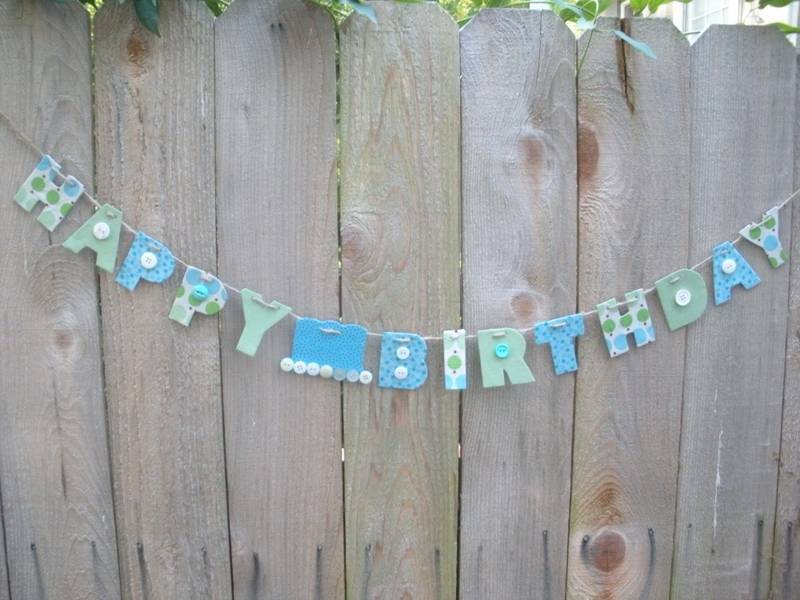 To make the Birthday Garland shown above, Green Garland hand cuts each letter from recycled cardboard and then wraps the letters in fun fabric. The birthday message is hung from jute string and buttons, plus sometimes other fun fabric designs, such as hats and robots, are used as accent touches.